Letters Cut From Newspapers Spell Out Fake News In A Letter. Description: Disinformation and alternative facts. 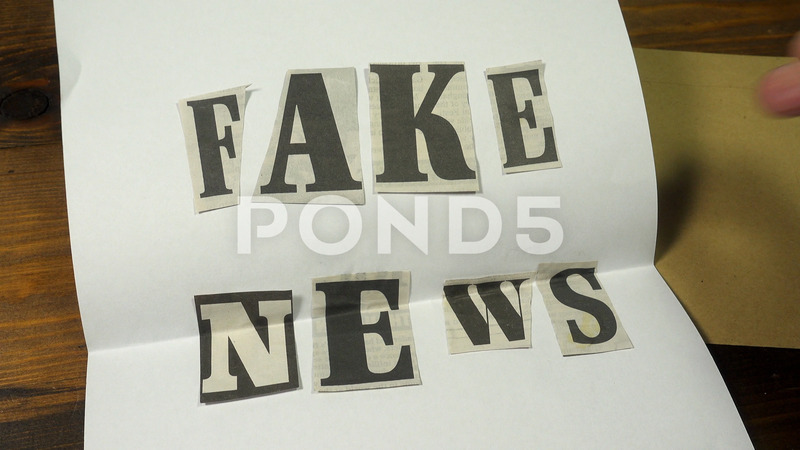 Opening an envelope to reveal a letter made up of letters cut from news papers to spell out the words FAKE NEWS.